From award-winning author Jane Casey comes an exciting short detective story following Maeve Kerrigan and Josh Derwent. Everyone is capable of murder... 'I've killed my husband.' Those are the words Sheila Gleeson greets the police with when they arrive on her doorstep. There is a murder weapon, fingerprints, a confession. It's clearly premeditated murder, end of the story. Or is it? 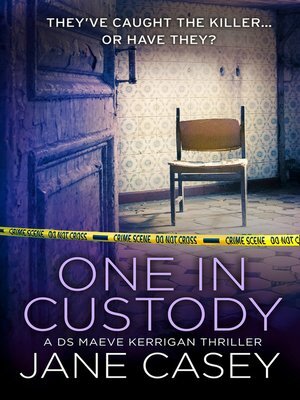 Because when detectives Maeve Kerrigan and Josh Derwent dig a little deeper, they realise things might not be quite what they seem. And soon, they're forced to question whether the woman in their custody really is as guilty as she seems, or if the killer is still on the loose... To avoid disappointment, please note this story has previously been published in the back of the Tesco edition of Let the Dead Speak.